When Franklin, TN, residents need closet organizers, they know they can count on the professionals at 31-W Insulation. That’s because we’ve provided custom closets and remodeling services to residents all over the Southeast since 1972. We are committed to giving customers like you high-quality, personalized storage solutions at great value. 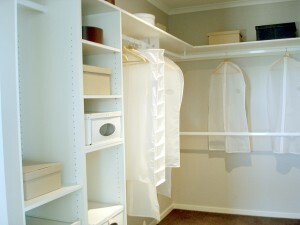 Additionally, you will be pleased to know that you can customize the appearance of your closet organizers. You’ll have the option of choosing from materials such as wood, laminate, or wire components in an assortment of colors and finishes, so you can match your closet to the décor of the room. For example, you may want your master bedroom closet to be constructed out of beautiful wood or laminate, but your pantry may benefit from the air flow afforded by wire shelving. The choice is yours. Why not begin the exciting process of designing your own custom closet organizers for your Franklin, Tennessee, home? Contact the professionals at 31-W Insulation today and schedule a complimentary consultation. Don’t forget to ask about our other outstanding home improvement services including the installation of shower enclosures, fireplace surrounds, and many other products.